The “Beast Mode” Fitness First Experience is an exercise program for male and female teens/young adults with autism who want to learn how to become more physically active in their lives. The program seeks to provide motivated individuals with the opportunity to learn about personal fitness, health and well-being by building self-confidence through goal development and achievement. A 10-week program pilot launched in April, 2016 as a collaborative partnership between The Sinneave Family Foundation and the University of Calgary. The program is iteratively enhanced based on feedback each session. 10-week program offered at the University of Calgary in a private gym with trained facilitators. 60-minute customized training sessions include warm-up and cool-down exercises and focus on strength development, cardiovascular conditioning, and flexibility. Prior to the start of programming, participants/family members meet with trainers to identify personalized fitness goals, review ‘rules of gym etiquette ’and tour the facility. Participants work in small groups (2-3 participants per trainer) each week to implement their training plans. Pre- and post-fitness assessments are conducted at week 1 and week 10 of the program to gauge improvement. 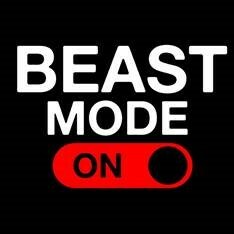 For information on Beast Mode at The University of Calgary, please contact Nick Lapointe – BPhEd, CSEP-CEP by e-mail at: nicholas.lapointe@ucalgary.ca or phone 403-220-4374.